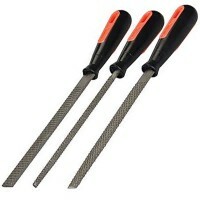 Silverline MS104 Rasp Set Features 3 piece set of rasps. 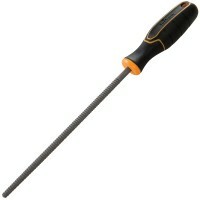 Blade length 200mm / 8in. 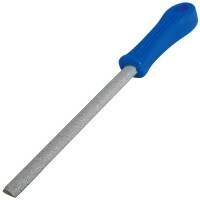 ..
Silverline 245095 Carbide Grit Half Round File Features Blade length 150mm - 6in. 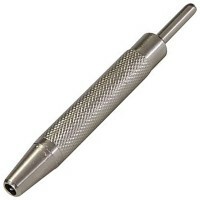 S..
Silverline 582573 Hinge Screw Punch Features Overall length 80mm. 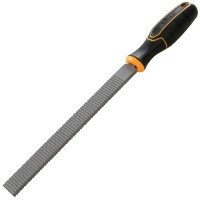 Centres and makes..
Triton 460891 High Performance Wood Rasp Half Round 200mm TWHRR Features Rasp type: half ..
Triton 465594 High Performance Wood Rasp Round 200mm TWRR Features Rasp type: round. 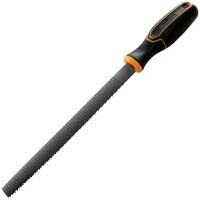 ..
Triton 388568 High Performance Wood Rasp Flat 200mm TWFR Features Rasp type: flat. ..